We all want to look our best so choose a thinning hair formula specifically designed for men that supports the body and provides beneficial nutrients rather than compromising who you are with negative side effects. 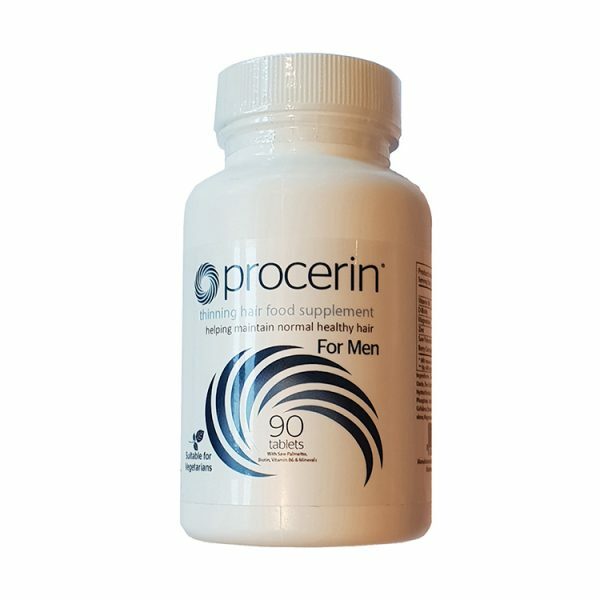 Procerin® has been available directly in the UK since 2002 but has an even longer history of happy customers in the US where it originates and is manufactured in FDA approved laboratories. In the UK/EU, we only sell our product via this site and our Shopify mini site www.procerinuk.co.uk. Some guys can absolutely rock the bald or shaven head look. It looks great and it just goes with who they are. For this guy it’s a great option …..but it’s not for everyone. Some of us just don’t have the right shape head! 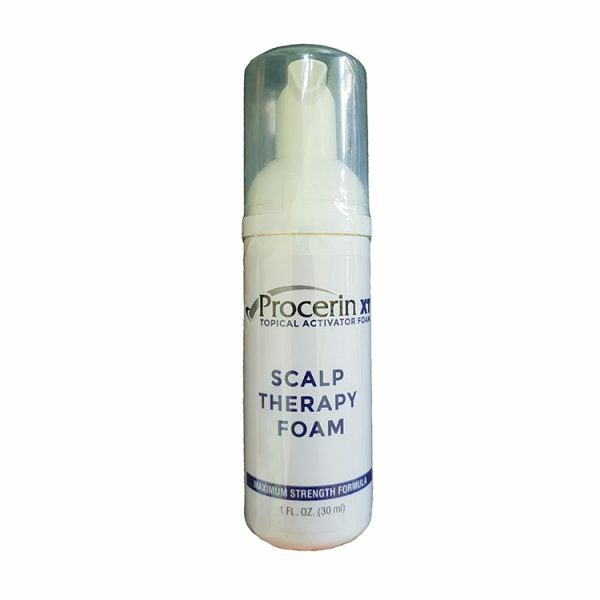 If you are not happy with the prospect of going bald or you just don’t have the right shaped head then Procerin® hair products can help you to look and feel your best. It is specifically developed just for men. It uses the safest, highest quality ingredients and it is designed for long-term safe and effective use. Age seems irrelevant to the common assumption which is often made in regard to male hair loss and the stock answer will often be “Sorry bud, must be genetic. It’s in your genes”. Whilst this is true for many men, the real culprit is often left hidden as the assumption is made and left unchecked. Just as for women, there are many reasons for thinning hair in men in addition to traditional male pattern baldness. These include: thyroid disorders, hormonal changes, physical and mental stress, medications and nutritional deficiency. If none of these issues ring any bells then perhaps looking at environment, diet and lifestyle could also help. We are being bombarded daily by toxic chemicals in our homes and in our daily working lives which all have an impact on the body, making it harder to remain healthy. Is it any wonder that our bodies might require extra help when our food sources for nutrients don’t contain as much as they used to, and this at a time when we need even more help to combat daily toxins. For example, a Kushi Institute* of analysis of nutrient data from 1975 to 1997 found that average calcium levels in 12 fresh vegetables had dropped by 27 percent, vitamin A by 21 percent, vitamin C by 30 percent and iron by 37 percent. There have been declines in other nutrients too such as magnesium, zinc, vitamin B6 and vitamin E.
The Procerin® range does the job without the terrible side effects offered by the big pharma guys. It has a great range of natural active ingredients. It’s great value and it even supports the prostate (tablet form only). We believe that the Procerin range provides the best combination of ingredients to support mens hair and combat negative environmental factors. We did our homework and we chose Procerin. 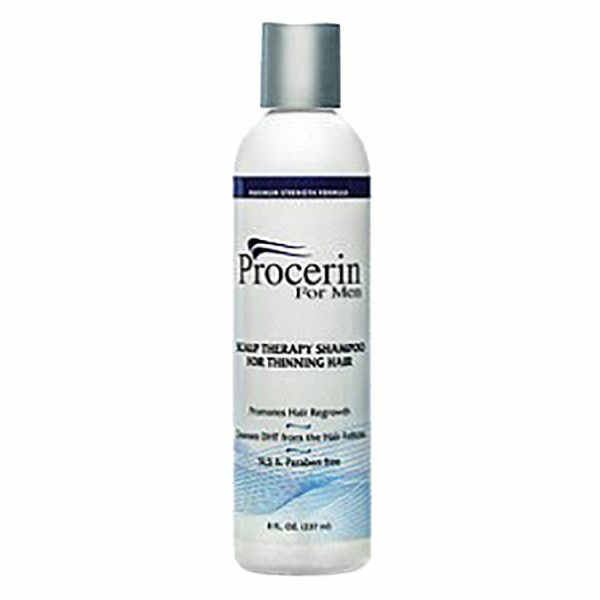 We brought Procerin to the UK in 2002 and built up a very large following of loyal customers. We are the UK Trademark holders and distributors and as such we ensure that the product and labelling (which is slightly different from the US product but manufactured by the same company) conforms to UK/EU regulations. The UK version of the product has the addition of Biotin. The products all contain a range of high quality ingredients which work synergistically together as with all things in the body. The information provided on this website is not intended to diagnose, treat, cure or prevent any disease. If you have any medical problems or are taking prescription medication please consult with your doctor.